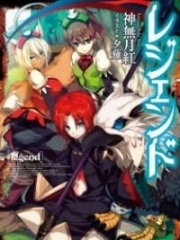 You’re reading novel The Demonic King Chases His Wife: The Rebellious Good-for-Nothing Miss Chapter 1475 online at LightNovelFree.com. Please use the follow button to get notification about the latest chapter next time when you visit LightNovelFree.com. Use F11 button to read novel in full-screen(PC only). Drop by anytime you want to read free – fast – latest novel. It’s great if you could leave a comment, share your opinion about the new chapters, new novel with others on the internet. We’ll do our best to bring you the finest, latest novel everyday. Enjoy! Luoyu Palace Hall moved over many trunks of stuff, and Beichen Ying accepted it all without a change of expression. Luoyu Palace Hall's people had smirks, leaving in a relaxed manner. Looking at their leaving backs, Beichen Ying exposed a complacent smile. Very quickly, the second day arrived. Luo Haoming vs Nangong Liuyun. One was the champion from last time, one was this time's most favored seeded player. The two would battle it out at an earlier than expected time, a contest of peak expert vs peak expert. Therefore, this match was unprecedentedly intense, maybe it would be the most intense battle of this time's Roaming Dragon List compet.i.tion. Time had almost arrived, but there wasn't a soul in sight on the stage. Under the stage, all the seating positions were full, in the back, there were still a lot of people standing. It was practically packed with people. Today, the audience was all very excited. The match still hadn't started and they had already entered the mode to watch the fight. Even to the point that they had already split into two groups. Luo Haoming group and Nangong Liuyun group. However, clearly, Luo Haoming's group had a lot more people than Nangong Liuyun's group. Originally, the majority of people would have supported Nangong Liuyun. But after Su Luo and her group of people worked really hard on the sly, finally, they were able to control the number of people to be lower. Three out of four people bet Luo Haoming would win. And on Nangong Liuyun's side, was only one out of four. The two leads hadn't even shown up and the audience members under the stage had almost started to fight. "Luo Haoming will certainly win!" "His Highness Prince Jin is invincible!" "Luo Haoming will triumph in every battle and win every fight!" "Our family's Highness Prince Jin will be the ultimate winner!" The two sides almost started to fight. Just at this time, a purple-robed person appeared in mid-air, soon after flying to the fighting stage. "Luo Haoming! Luo Haoming! Luo Haoming!" Seeing Luo Haoming appear, everyone under the stage exploded out with a fiery enthusiasm. They had bet a lot of money that Luo Haoming would win. Therefore, they absolutely would not want him to lose. Luo Haoming's tall figure stood on the stage with a frigid face. He was solemn and coldly severe, full of august. He extended out one hand, the right hand lifting up and putting pressure down. All the noise, disorder, clamor and shouting in the audience suddenly became quiet. Luo Haoming just stood there motionless like that. His whole body gave off an icily arrogant aura that people dared not look straight at. At this moment, there wasn't that much time left from the beginning of the match. This time, some people under the stage started to panic. "Where is His Highness Prince Jin?" "Luo Haoming already showed up, His Highness Prince Jin isn't likely not to show right?" "Could it really be like the rumor said, His Highness Prince Jin is seriously injured and remained unconscious?" "Can't be right? I bet all the wealth in my family on him ah." The spirited discussion under the stage became increasingly loud. A small portion of the people that originally supported Nangong Liuyun at this time wavered, continuously turning their head, constantly staring in the direction of the entrance. Earnestly hoping for the arrival of His Highness Prince Jin. But what made them increasingly despair was, His Highness Prince Jin still hadn't appeared. Just at this time, the judge slowly walked to the center of the stage. Luo Haoming's mouth hooked into a proud and icily arrogant smile. Nangong Liuyun, are you afraid of me? So, you didn't even dare to show up? Luo Haoming firmly believed Nangong Liuyun was seriously injured. Because this information was personally confirmed by his Elder Ancestor. It couldn't be false. Therefore, this match, Luo Haoming had already known earlier that Nangong Liuyun wouldn't appear. The judge looked at that almost burned down to ashes incense, his brows tightly scrunched up. However, he still hadn't said anything…. 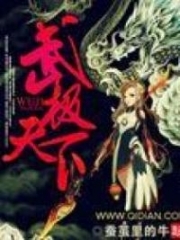 You're reading novel The Demonic King Chases His Wife: The Rebellious Good-for-Nothing Miss Chapter 1475 online at LightNovelFree.com. You can use the follow function to bookmark your favorite novel ( Only for registered users ). If you find any errors ( broken links, can't load photos, etc.. ), Please let us know so we can fix it as soon as possible. And when you start a conversation or debate about a certain topic with other people, please do not offend them just because you don't like their opinions. You're reading The Demonic King Chases His Wife: The Rebellious Good-for-Nothing Miss Chapter 1475. This novel has been translated by Updating. Author: Su Xiao Nuan,苏小暖 already has 4986 views. The Reader (Me), The Protagonist (Her) And Their After. My Boss Husband, Please Let Me Go! What An Audacious And Sly Servant! Current Time is Apr-21-2019 02:21:00 AM.